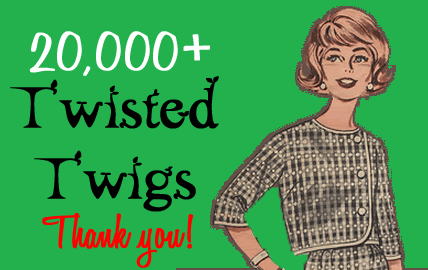 Twisted Twigs On Gnarled Branches: 20,000 likes!!! 20,000 likes!!! 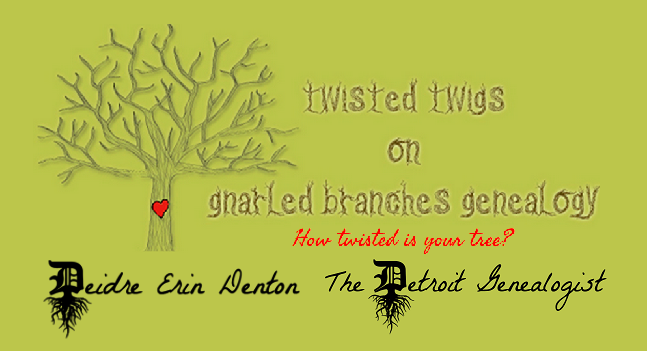 Twisted Twigs on Gnarled Branches Genealogy has come a long way from that funny meme I made at 2 am on a genie break from my Clarks of Detroit research in 2012. In a little over 3 years, I have transformed my obsession of hunting down ancestors into a full time career. Once lovingly known by Genie friends as "Lil Ms. Go Get 'Em", I've grown to love my new nickname, "The Detroit Genealogist". Assisting fellow genies break down their Michigan brick walls professionally and on my facebook page "Detroit Genealogy" is like a dream come true. I've yet to dread one day of work and I pick up new ancestor hiding spots with every trip to the Detroit Public Library or State of Michigan Archives/Library. 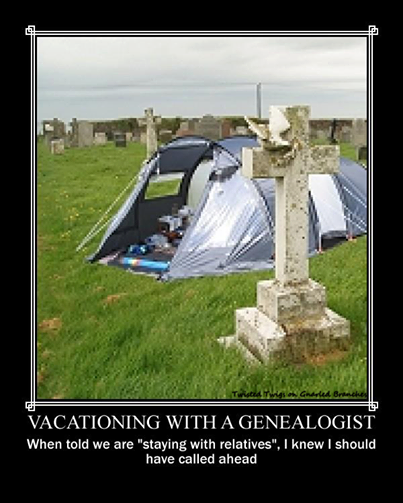 As many of you family historians out there, I spend my "free time" giving back to my local genealogy community. I currently volunteer as the social media committee chairwoman and query researcher for the Detroit Society of Genealogical Research. Thank you all for making Twisted Twigs On Gnarled Branches Genealogy what it is today! It makes my day to give fellow genealogists memes to express their obsession with family history and hopefully a chuckle when brick walls are stressing you out. The TTGB community is one of a kind and that is due to all of the Twisted Twigs who like/share the memes, share their stories, and occasional connect with a new cousin or two.